First impressions do matter, and the same principle applies to your home. One of the first things that a guest will see is your front door, which is integral to the style your home gives off even before someone steps inside. If you’re looking to update your entryway, here are a few ideas to keep in mind before making a decision. A front door oftentimes speaks volumes for its residents. Whether bright and colorful or tying in a consistent theme, the aesthetics is usually the first thing considered by homeowners. 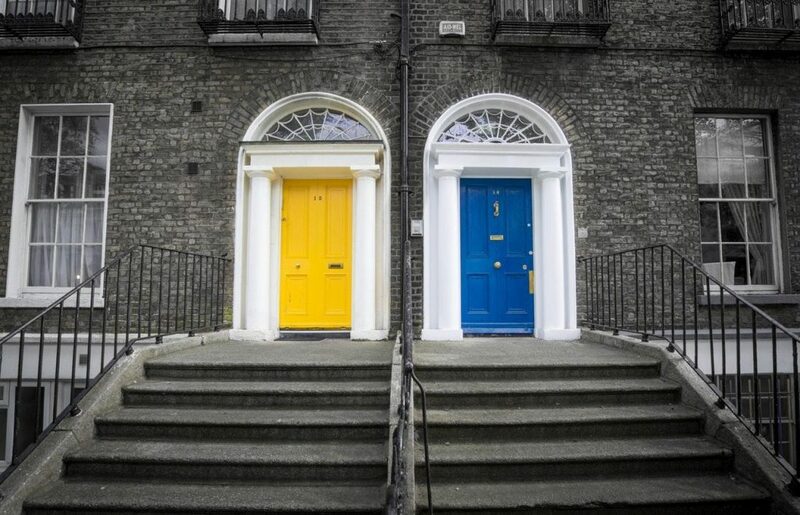 If you’re looking for ways to spruce up your entryway, one option to consider is adding a fresh coat of paint to make your door pop. Like an accent wall, doors with a contrasting color make a lasting impression not only on visitors but even on passerbys and drivers. You can also consider replacing the front door itself with a new style. Where before it may have been a simple functional door, you can look into elaborate or modern designs and materials that you connect with. Remember—your door is the threshold and spokesperson for your home’s style. Speaking of material, front doors can be made with a variety of different materials, each with their own benefits and setbacks. Wood is a traditional and elegant option and can allow for custom work to be done. That said, wooden doors can also be vulnerable when exposed to the elements over time, possibly warping or yellowing. (Drafty doors during a Wisconsin winter is never a good idea.) Fiberglass options allow for more durability, beauty and energy efficiency. They can be stained to look like traditional wood doors or painted and typically come with the best warranties. Depending on the manufacturer and style fiberglass doors tend to cost more than steel doors, however; most homeowners feel the benefits are worth it. Steel doors can be the most economical and are a good choice when a fire rated door is needed. The only thing to watch out for is denting, as that can be hard to fix and steel doors dent more easily than fiberglass. When updating your front door, you also want to consider its function beyond simple aesthetics. 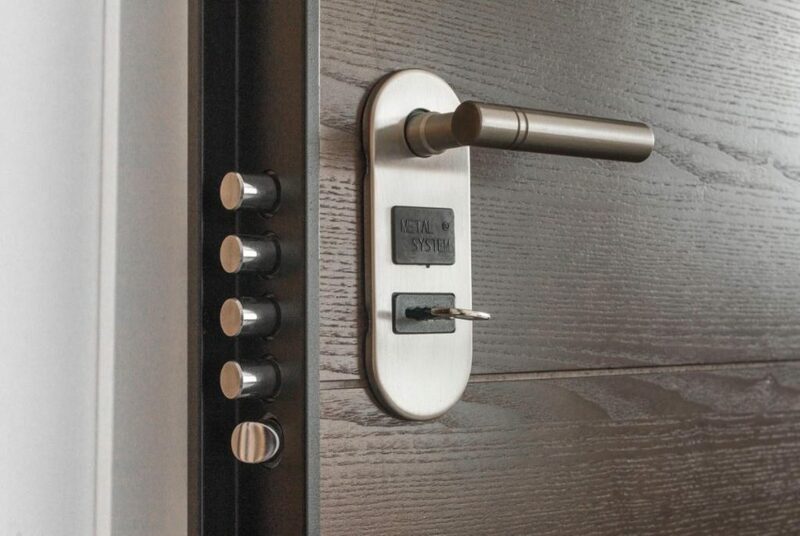 Safety and function should follow closely behind the style, as you want your front door to offer your family security, durability, and accessibility in case of an emergency. This is especially important in the event of an emergency. If you live in a condo or townhouse, your building codes may require that you have fire-rated entryways. If you’re considering updating your front door or any other exterior door, Windows of Wisconsin has a variety of options to explore. We know that installation of a product is just as important as the product itself, and we have experts on hand to answer any questions you may have regarding the process. Give us a call at 920-429-9119 or stop in today at 2300 Tower Dr. in Kaukauna on the frontage road between exits J and 55.